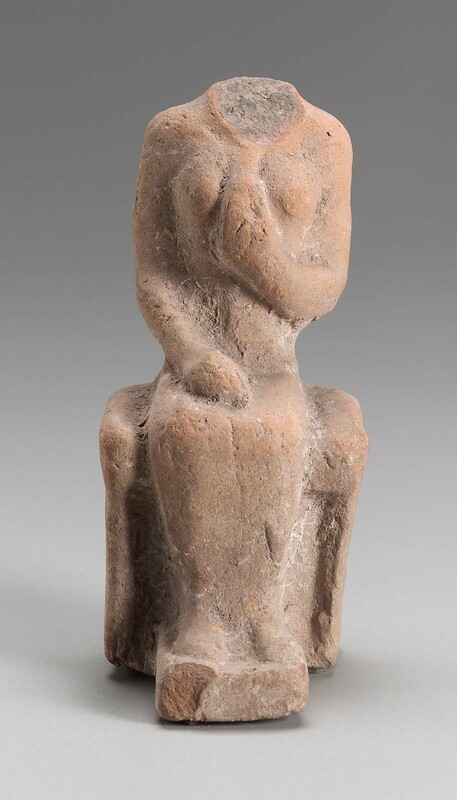 Figurine of a female seated on a stool and holding a flower in her left hand against her breast. Possibly Aphrodite. Head missing. From Assos (Behramkale, Turkey); sarcophagus No. 87. 188? : excavated by the Archaeological Institute of America; gift of the Archaeological Institute of America to MFA, January 15, 1884.